Since embarking on the business of car production, SUBARU has above all else focused on development of “safety technology” to provide protection against collisions. SUBARU cars incorporate numerous technologies designed to protect passengers, as well as the lives of pedestrians, in the event of a collision. 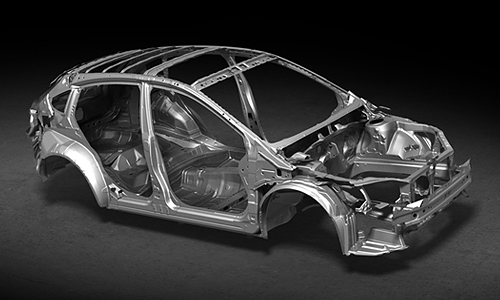 Designing every aspect of the car with the aim of guaranteeing utmost safety is a collision safety concept that is unique to SUBARU and evidenced with features such as the “Ring-Shaped Reinforcement Frames body” to protect against collisions, or the engine layout that protects passengers from shocks in the event of a crash. 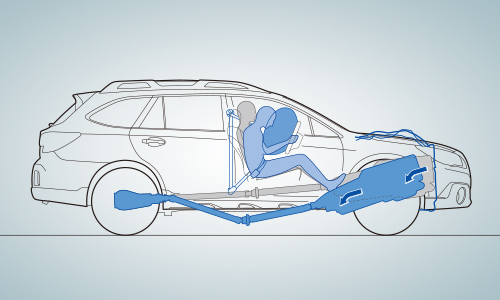 The symmetrical layout of the Symmetrical AWD + BOXER platform protects passengers from shocks by effectively utilising the entire chassis structure as a crushable zone in the event of a collision. Every component within the cabin has been designed with safety first and manufactured with shock absorbing materials to protect the delicate human body. This concept stems from the fact that even the smallest piece of equipment can become a hazard if subjected to the high collision energies of a collision. Safety pedals and a seat shape that reduces injury due to whiplash during a rear-end collision have also been used. Subaru cars have traditionally been powered by the Horizontally-Opposed SUBARU BOXER Engine. With an inherently low centre of gravity, the engine allows the transmission and other components in the drivetrain to be positioned in a straight, symmetrical line. This design allows the engine to “submarine” – or slide – under the floor during a frontal collision, and has been proven to be much safer than other engines, where the transmission and other drivetrain components are often pushed into the cabin during a collision. 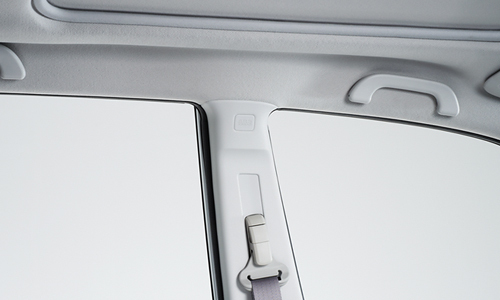 The front seat seatbelts of Subaru cars have a number of features for added safety. The pretensioner tightens the seatbelt instantaneously during a collision, holding passengers more firmly in their seats. The load limiter maintains tension in the seatbelt, reducing injury to the passenger’s chest. And the seatbelt adjuster changes the position of the shoulder strap to suit different body sizes. 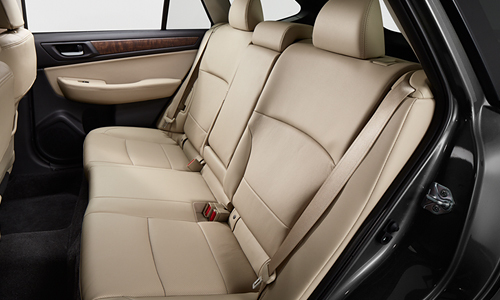 All rear seats in Subaru cars use three-point seatbelts to firmly hold the waist and chest area of passengers. All retractors feature a child seat (ALR) mechanism. The driver’s seat and passenger’s seat SRS airbags work in tandem with seatbelts to protect passengers. These are folded into a compact size and stored within the steering wheel and dashboard, and inflate instantaneously to form airbags during a collision, providing added protection for the passengers. 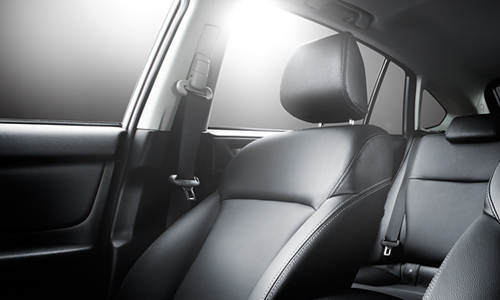 Seats play an extremely important role in protecting passengers during a rear-end collision. Standard front seats in Subaru cars incorporate mechanisms to reduce these shocks in three ways: (1) Active headrests to hold the head firmly. (2) Absorb shocks to the head using energy absorbing headrests with a dual layer internal structure, thus minimising neck whiplash. (3) The entire seatback absorbs the shock that throws passengers backwards, minimising the shock transmitted to passengers. Shock absorbing materials have also been used for the ceiling and other cabin surfaces to reduce the shock transferred to the heads of passengers during a collision. If the car is involved in frontal collision, the car’s pedals often move backward, causing injuries to the driver’s leg. All Subaru cars employ auto-retracting pedals to minimise this type of injury. Brake pedals are retracted with the use of a catch and shock absorbing clutch pedals (MT models) limit changes in pedal position. 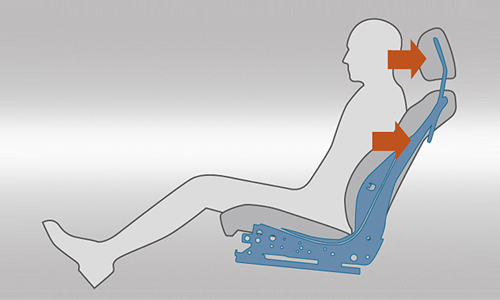 Footrests (AT models) also use shock absorbing material to reduce injury to the driver’s feet. 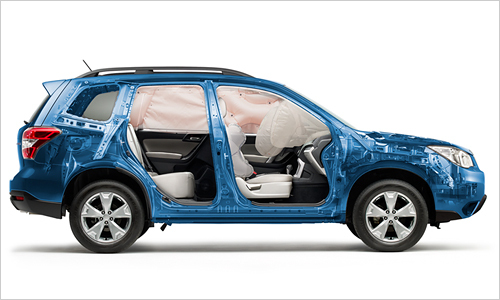 SUBARUs have rigid side door beams installed within doors on either side of the car to protect passengers during a side collision. The high level of rigidity afforded by the Ring-Shaped Reinforcement Frames body protects the entire cabin space in the event of a collision or roll-over. The addition of front side SRS airbags/curtain SRS airbags and use of shock absorbing materials throughout the interior help to protect the head and body of passengers in a cabin entirely designed to reduce collision shocks. In 1996, Subaru announced a new concept for the first generation Forester: Ring-Shaped Reinforcement Frames body, which protects the central cabin from shocks from every direction after a frontal, front offset, side or rear collision. The Forester became an instant hit around the world, for its high levels of safety and functional, yet performance-oriented body. The design of this body features a ring structure connecting the left and right A, B and C pillars via the roof and floor, combined with strengthened side rails and side sills linking the side of the body to create a cage that envelopes the central cabin. This design absorbs shocks efficiently from any direction in the event of an accident, providing the cabin with solid protection. The name for the Ring-Shaped Reinforcement Frames design only took shape from the Forester onwards, and the first generation Legacy released in 1989 featured a rigid body built around the same concept. This design was initially announced simply as an offset collision-safe body, yet the unique ring-like structure linking each pillar to the roof and floor were more than enough to demonstrate the high levels of collision safety provided within. During a side collision, side airbags installed within the outer contours of the driver’s seat and passenger’s seat inflate to protect the chest and waist area of the driver or passenger. 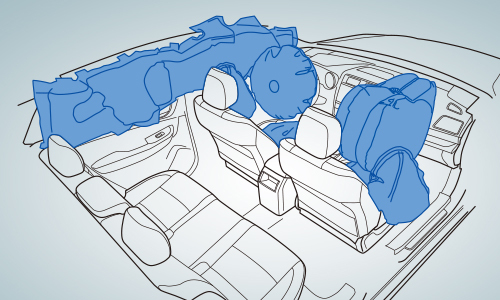 During a roll-over or side collision, curtain airbags inflate from the interior side of the roof, protecting the head and neck area of the driver, passenger and those sitting in the rear seats. Curtain airbags provide a much larger protective area around the head, and are effective for passengers of various body sizes and sitting positions. The first generation Forester released in 1997 was Subaru’s first model with SRS side airbags installed. Curtain airbags were first used in the fourth generation Legacy in 2003. Reinforcing beams have been added within the door frames, which help prevent distortion to the cabin during side collisions and ensure the safety of passengers sitting inside. These beams have been installed as standard in all Subaru models since the release of the second generation Legacy in 1993. A shock absorbing structure has been used within each surface around the driver’s seat and passenger’s seat headspace to provide better protection during a collision. Every SUBARU boasts exceptional driving stability owing to the low centre of gravity design and suspension system that offers excellent traction. In essence, SUBARUs are engineered to have a low risk of a roll-over. 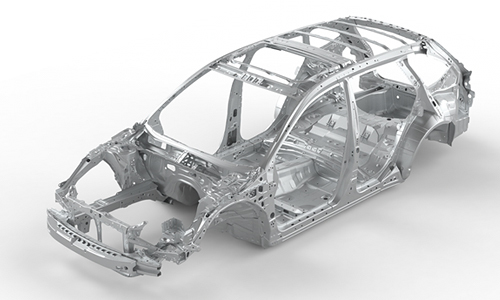 If the car is involved in a roll-over for whatever reason, the high rigidity of the Ring-Shaped Reinforcement Frames body and deformation of the shock absorbing materials help to prevent cabin space from being compromised. The shock absorbing materials used throughout the ceiling and cabin interior, front side SRS airbags/curtain SRS airbags and other safety features also help to reduce any impact delivered to the heads of all passengers. 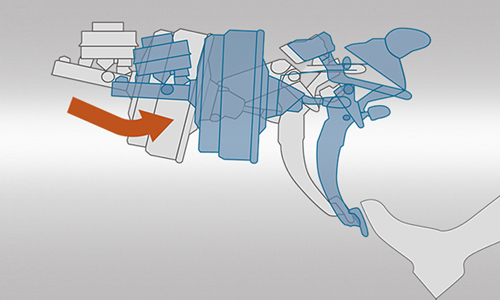 One of the characteristics of the BOXER engine is its low structural profile. This allows space to be incorporated under the bonnet to absorb shocks if a pedestrian is thrown up onto the car, where they might have a high risk of sustaining head injury. Even the hinges and bonnet gas dampers are designed to reduce shocks, and the front bumper features a structure that absorbs collision energy as these can often hit the legs of pedestrians. These are just some of the ways that SUBARU has designed every facet of its cars to protect its passengers, as well as to make pedestrians and others safer. 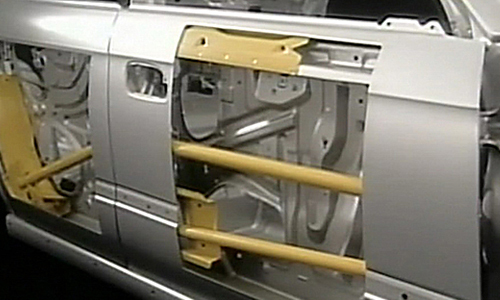 A shock absorbing structure has been used around the front bumper area, which has the highest probability of striking against the legs of pedestrians during an accident. This feature absorbs collision energy that would otherwise be transmitted to the pedestrian’s legs, thereby protecting their knee joints and other body parts from potential injury. There are usually hard, solid objects such as the engine placed immediately beneath the bonnet, which limits how much shock can be absorbed in that area. A Horizontally-Opposed Engine however, sits much lower in the engine bay than other engine types. This results in ample clearance between the bonnet and the top of the engine, giving rise to a large crushable zone within the engine bay. In addition to using steel bonnets, which have a high level of shock absorption, a frame is installed to ensure that shocks are distributed evenly throughout the bonnet area. The front end of the bonnet also features a crushable design that can buckle easily. Even the hinges and bonnet gas struts have been designed to minimise injury to pedestrians. The front wipers are designed so that the wiper shafts detach when subjected to shock. With this modular layout, injury to pedestrians from the wiper ends is minimised in the event that a pedestrian is thrown on top of the car’s bonnet. 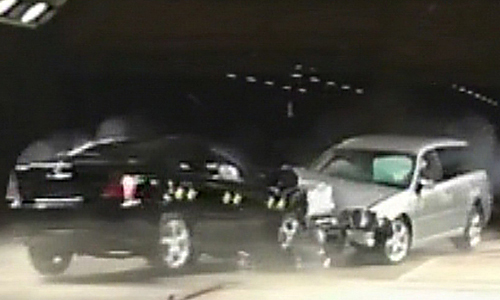 In an accident involving two cars, the smaller or lighter of the two usually sustains more damage during the collision. Subaru has taken a broad stance for developing cars to ensure an adequate level of safety towards the other car with an efficient, shock absorbing frame, while providing a solid cabin with which to protect its occupants, holding them firmly in place with fail-safe safety restraints. 2016 © Fuji Heavy Industries Ltd. All rights reserved.